As you go through Idaho Falls, there are many place in Old Town to visit. I work at The Group Real Estate, over near Old Town, on Taylor Crossing. There are some great, old style hotels, there are some amazing shops and it has some amazing looking old town vibes. As you walk around the town, going from street to street, seeing some of the buildings that have barely been update and looking at those that have been fully updated. Old Town Idaho Falls has a wonderful feel about it, great places to look around and visit, and wonderful food to partake in. One of the main highlights of Old Town area for Idaho Falls is the Museum of Idaho, located just East of the railroad tracks from Old Town. The Museum has a wonderful old time feel to it, but is never lacking in the fun things they bring in for the people to see. 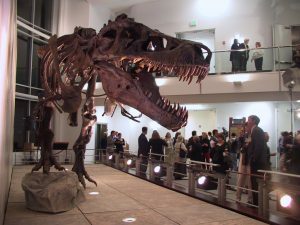 They have brought in a full size Tyrannosaurus Rex, to building full pirate ships inside, to the Roman Empire all the way to what it would be like to be in space and see the inside of space stations. Not only does it give you some great venue and information pieces to look through and read up on, it is a great location for children. They have wonderful staff on hand to help out, they have guides to make sure you stay on task, and when you get to the top floor there is a wonderful kids play area, where they have a tepee, some fun hats to wear, computer games to play, things to color, small houses to play dress up and some great information on animals and paw prints. 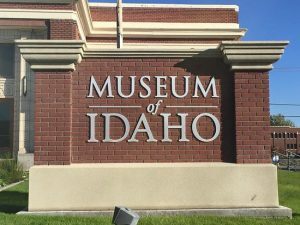 Now, one of the really fun times is this exact time, to go to the Museum of Idaho. October is upon us and you have the opportunity to go to the Haunted History Tour. It’s a fun to hear about some of the darker times in Idaho Falls. A time many years back when the land was ruled by vigilantes and when brothels and speakeasies stood at every single corner of Old Town Idaho Falls. You will get to hear first hand accounts and stories of unexplained happenings and personal encounters as you wander through the most haunting buildings in Idaho Falls. Children under 8 years old aren’t permitted to go, but with this information, know that it doesn’t get too R rated and it’s amazing to see the darker side of a small little town like Idaho Falls. One other wonderful piece of this, is that the proceeds from it all benefit MOI education programs for under served communities. If you enjoy the haunting experiences of ghost stories, ghost towns or just that Old Time-y feel of where you are from, this is the perfect tour for you. All of us have wondered whether or not a certain hotel, or two, in Old Town is haunted, or not. I’m sure if you googled them, you would find stories about the ghosts that haunted them. This tour helps you realize that your fears of those ghost stories is real. This comes at a great time when we love to have that fall crisp in the air and we love being scared, we love to hear ghost stories, and we all love to hear those ghost stories about a place where we live.